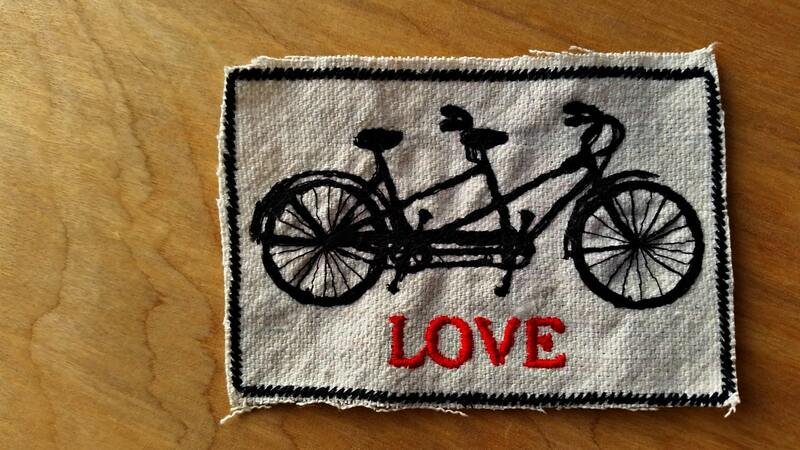 Embroidered Tandem Bike Love Upcycled Canvas Jacket Patch. 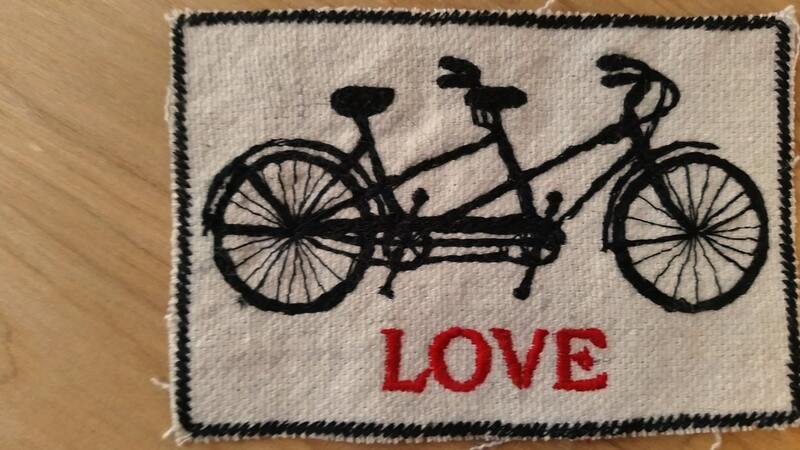 Patch is 3.90 x 2.60". 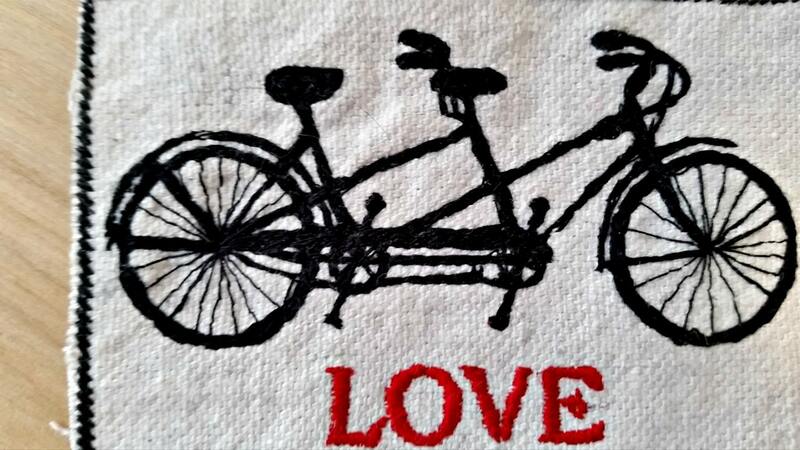 Wedding or anniversary dates can be added for unique wedding favors or a special anniversary gift! Sew on option is also available.